Just had to show you all this new technique (new to me at least) for making half square triangles from charm packs. Very fast. 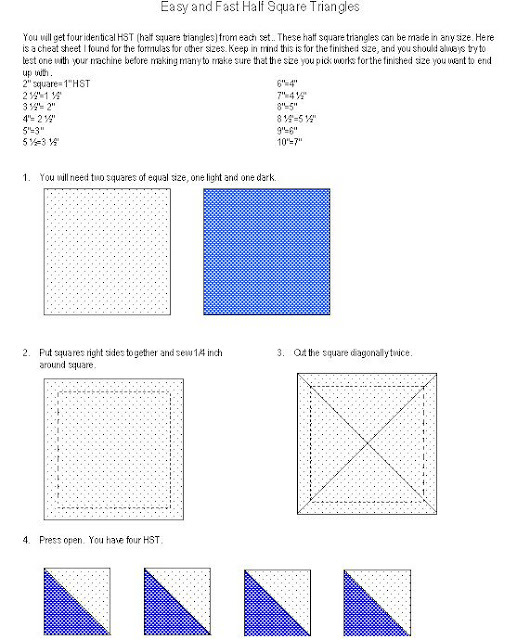 Thank you to the Missouri Quilt Company for this Tutorial. These half square triangles can be made in any size. 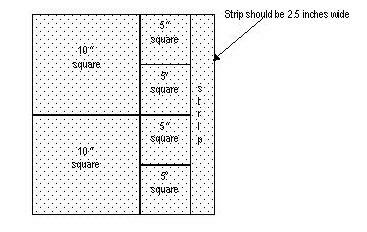 Here is a cheat sheet I found for the formulas for other sizes. Keep in mind this is for the finished size, and you should always try to test one with your machine before making many to make sure that the size you pick works for the finished size you want to end up with. Thank you so much. I have seen this tutorial, but didn't have the measurements. It makes a lot of difference and helps with planning.